If you've ever saved a file instead of printing it, chances are good that in so doing you created a PCL (Printer Command Language) file. Or maybe you decided to send a document to the print queue instead of printing it immediately? This too generates a PCL file. But what happens when you need to view a PCL file after the fact, possibly months later? This can be problematic because there are only a few programs out there that help you view PCL files (and most are very expensive). 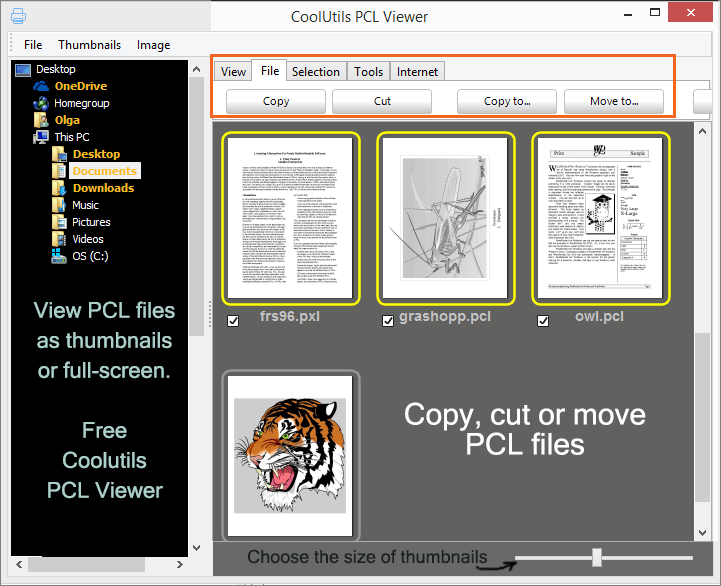 The good news is, here at CoolUtils we are proud to introduce one of our newest tools: the free PCL Viewer! Now you can conveniently view PCL files with just a few quick clicks. Once you've downloaded your copy of our free PCL Viewer, simply indicate which files you'd like to view and the program handles the rest. Did we mention that it's free? Loaded with options, the free PCL Viewer lets you adjust the size of your PCL files so that you can view them full size or as thumbnail images. You can view them as a file list with details, or you can choose to look at them in full screen mode. You can even share your PCL files by sending them out as attachments from within the PCL Viewer itself! If you're looking for a powerful tool that not only gets the job done, but is free as well - this is the one. Download your copy today and experience for yourself how beneficial the PCL Viewer can be. Note: although the free viewer will not let you convert your PCL files to other formats, it's still possible with the Total PDF Converter. Check it out here to learn more. 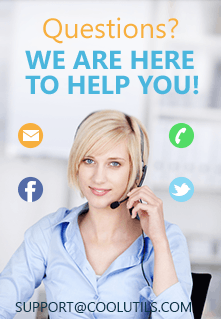 While you're at it, take a moment to explore all of our great software solutions. Like us on Facebook, follow us on Twitter and visit our blog.